Over the years my alcohol intake has steadily decreased and with that, my appreciation for well balanced cocktails and fine spirits has increased. You could say I've become more about quality than quantity. Recently, I decided to take a month off from drinking to see how that feels. I have a deep fondness for changing up my habits and adjusting accordingly. While I haven't really missed the alcohol part of not drinking, I've missed the complexity, variety, and ritual of having a nice glass of wine with dinner or a summer cocktail on my patio. I've taken to trying out all sorts of seltzer flavors and adding fruit or a splash of this or that. I decided to try my hand at creating some yummy summer mocktails. One is a favorite frozen summer drink I've been making for years and two are twists on classic summer cocktails. The recipes below are for single drinks and keep in mind that I don't have much of a sweet tooth, so if you want to feed your sugar habit, add more of the sweet ingredients! A seriously refreshing frozen treat that's not too sweet. Throw everything in the blender and let 'er rip until it looks like a slushy. Garnish with a few leaves of basil and a slice of lime. 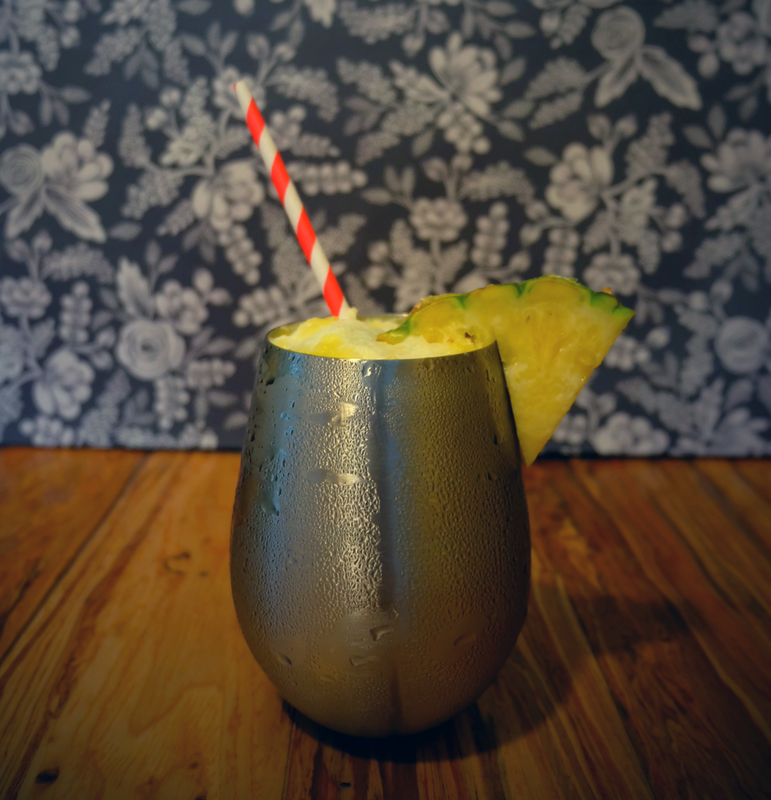 All the flavors of this tiki favorite but more refreshing, less filling. Blend the pineapple with the ice and put it in a glass and add the coconut milk. Add a few ice cubes and fill the rest of the glass with coconut seltzer. Garnish with a slice of pineapple. 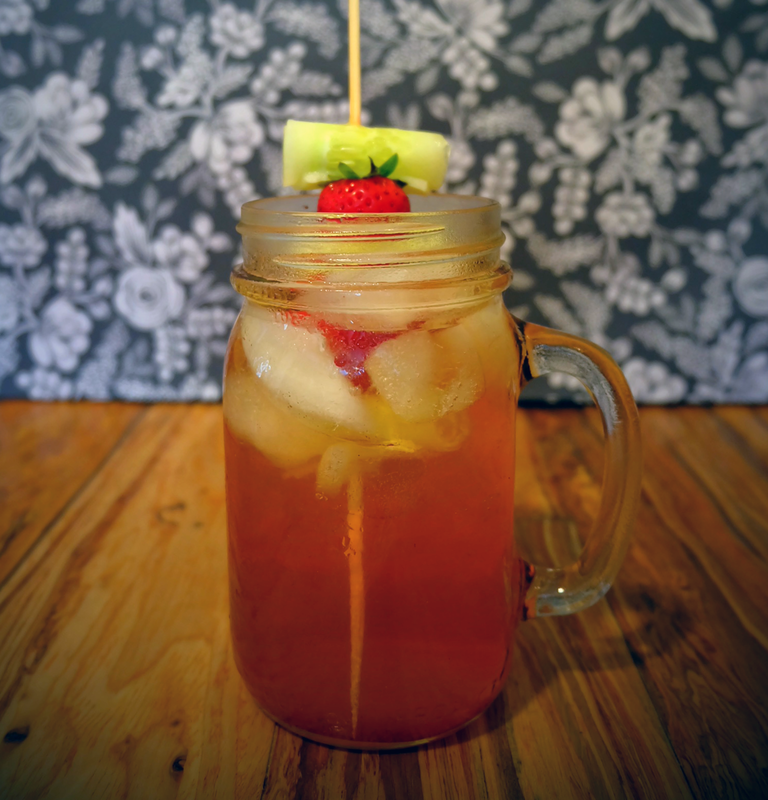 A take on my one of my favorite summer drinks the Pimm's Cup. Put the shrubs and vinegar in a glass with ice. Pour in the ginger beer into the glass and add the lemon and orange bitters. Garnish with a skewer of cucumber slices and berries. I hope you enjoy these sweet summer coolers!